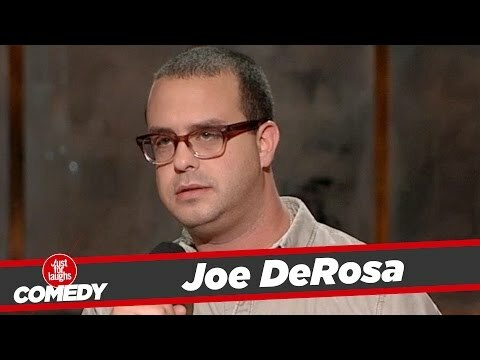 Writer, actor, and stand-up comedian Joe DeRosa has become a favorite on the comedy circuit. His brand of comedy mixing brutal honesty and frustration at the workings of the world has won over comedy fans, radio listeners, and TV audiences nationwide. Joe most recently released his fourth stand-up comedy album, Mistakes Were Made: The B‐Sides. He has made two separate half-hour specials for Comedy Central and released his first three stand-up albums – The Depression Auction, Return of The Son of The Depression Auction and You Will Die – on Comedy Central records. DeRosa was a writer on Netflix's hit series Wet Hot American Summer. He also wrote and was a featured performer on TBS's acclaimed The Pete Holmes Show. In recent years, DeRosa has been seen in a recurring role in AMC's Better Call Saul and has made appearances on Comedy Central's Inside Amy Schumer, FX's Louie, HBO's Bored To Death, E's Chelsea Lately, and in the video game Grand Theft Auto V.
He headlines comedy clubs and colleges across the country and has been featured at South By Southwest, The Montreal Comedy Festival, The Moontower Comedy Festival, The New York Comedy Festival, Bonnaroo, and The Great American Comedy Festival.